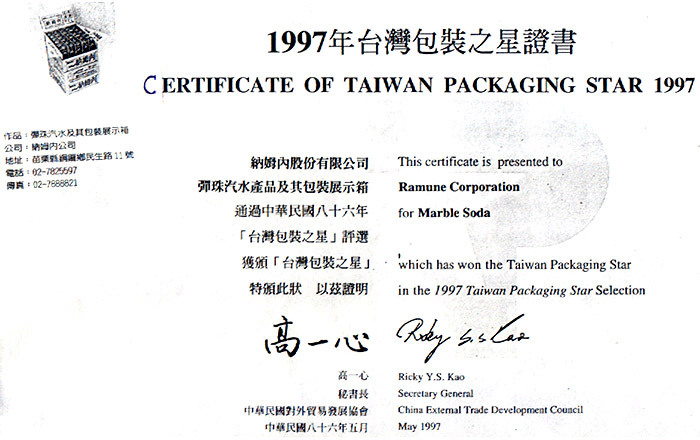 This certificate is presented to Ramune Corp. for Marble Soda, which has won the Taiwan Packing star in the 1997 Taiwan Packing Star Selection. 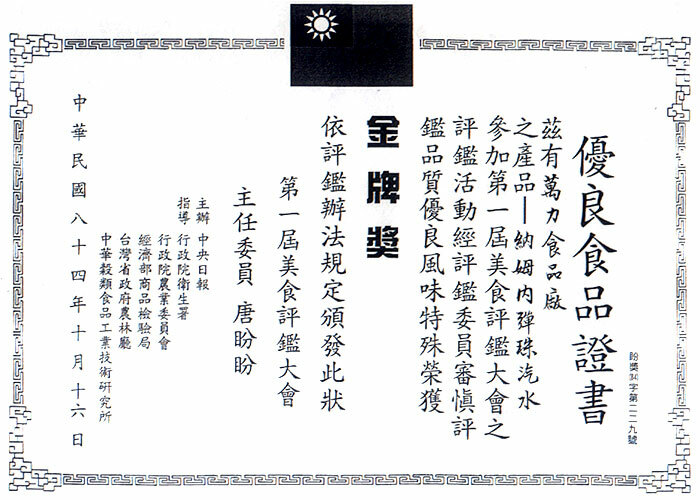 This certificate is presented to Ramune Corp for Ramune's Marble Soda, which has won the best food in the 1995 the best food selection. 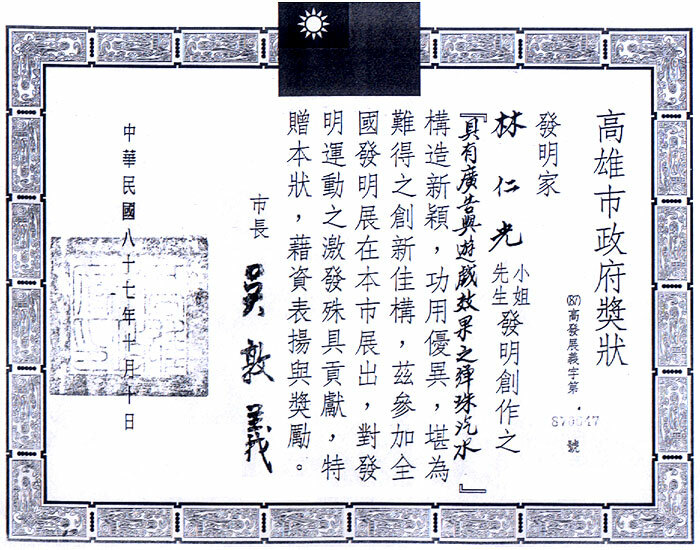 This certificate is presented to Mr. David Lin for the innovation of the Marble Soda's bottle, which has won the best creatively innovation of KMG in the 1998 KMG innovation selection. 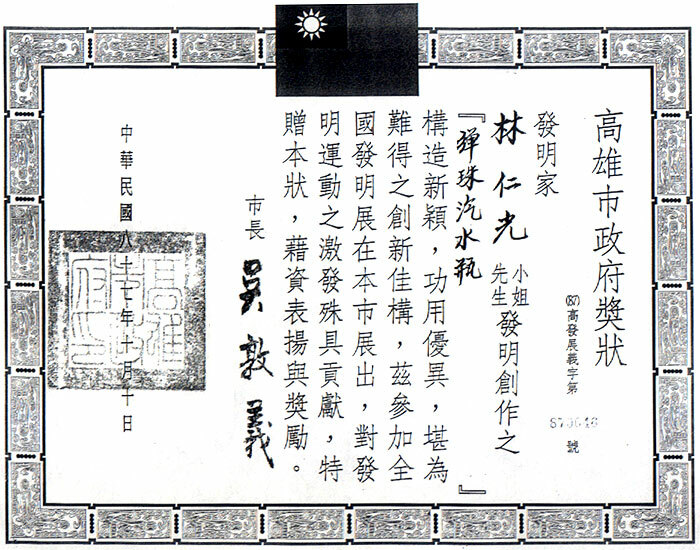 This certificate is presented to Mr. David Lin for the innovation of the best advertised and recreative effect of Marble Soda, which has won the best creatively innovation of KMG in the 1998 KMG innovation selection.